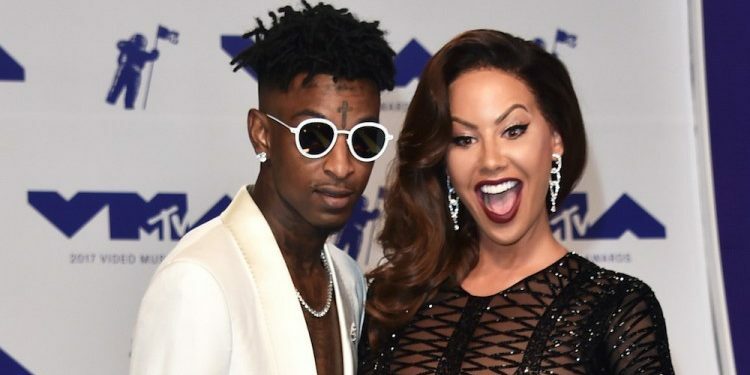 It’s seem Amber Rose and her beau, 21 Savage are going stronger as they were all loved at the MTV #VMAs on Sunday. Now she has purchased a custom made luxurious ring for him. Amber is letting everyone know that her beau is off the market and he is her man forever as she has stated on multiple occasions that her plan is to marry the rapper, insisting that he is the real deal. A jeweler, Ben Baller had earlier shared a video of the customized iced-out promise ring that reads “Loyalty 21.” on Instagram.